Recent stories about Service Dog fraud and peacocks on airplanes highlight the critical need for a nationally recognized, legitimate Service Dog certification. The Air Carrier Access Act combined with the loosely structured wording of the ADA have resulted in a system ripe for scamming. Who wouldn’t want to save $125 by bringing their pet onboard as an “emotional support animal” for free? United and Delta Airlines’ new rules regarding traveling with emotional support animals (ESAs) are a good starting point, but they don’t go nearly far enough. In fact, they could inadvertently result in an increase in Service Dog fraud, as people may now start calling their emotional support animals “Service Dogs” in order to avoid the additional layers of proof required by the new rules for ESAs. Unlike ESAs, Service Dogs fall under the ADA, so businesses and organizations that serve the public generally must allow service animals to accompany people with disabilities but may not ask a person to prove his or her disability or ask for proof that the animal is properly trained. And with no national Service Dog licensing or credentialing system in place, there’s plenty of opportunity for abuse. ADI IS A PLACE TO START. 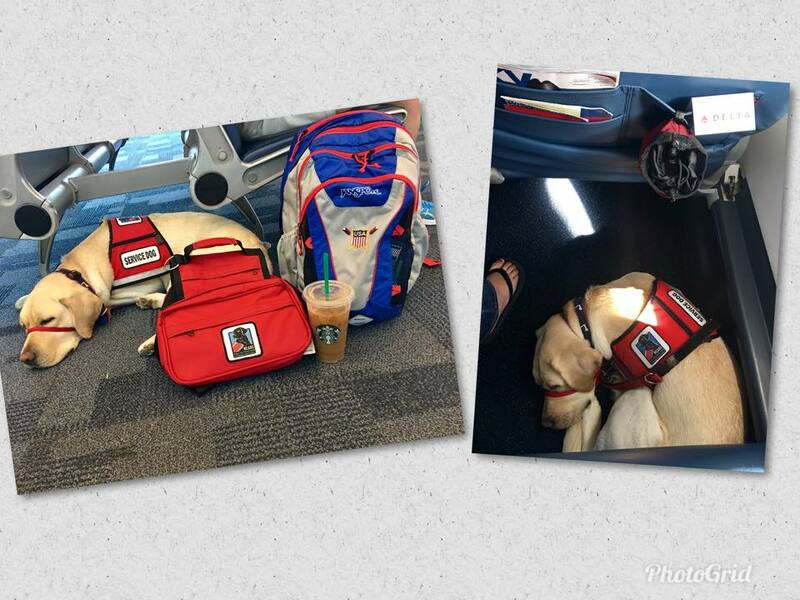 United Airlines states that it “only recognizes service animals which have been trained and certified.” But if no national certification exists, how can they identify legitimate service animals? Assistance Dogs International (ADI), which provides accreditation for canine assistance organizations that meet a selective set of criteria, including standards of excellence in the acquisition, training, and partnering of Service Dogs, is the only organization that comes close. ADI standards define a Service Dog and serve as a guide for all its members. NEADS is proud to be an active member of ADI and expects its clients to maintain the standards that ADI sets. We understand that there are limitations to the ADI model, for instance, having a method for individual trainers to participate. But since credentialing already exists through this organization, it’s fitting for airlines, stores, restaurants, and other businesses to accept ADI as the gold standard while work begins on national accreditation. NEADS is working on the state and national level with the idea that we must make Service Dog regulations and credentialing a reality. In Massachusetts, we’re working with lawmakers to enact Service Dog fraud legislation (MA H.2277). Nationally, we’re working with a consultant and senior personnel psychologist with a federal certification and credentialing program, other national Service Dog organizations, and the regional chapters of the ADA to address such issues as who holds the database and how are teams licensed and certified. The widespread abuse of public access rights stemming from the Air Carrier Access Act and the loosely structured language of the ADA has gone way too far. It’s encouraging to see this fraudulent activity being reined in by the airlines. But with no real way to support these efforts or to enforce existing regulations, the time has come for a nationally recognized Service Dog training and certification registry.